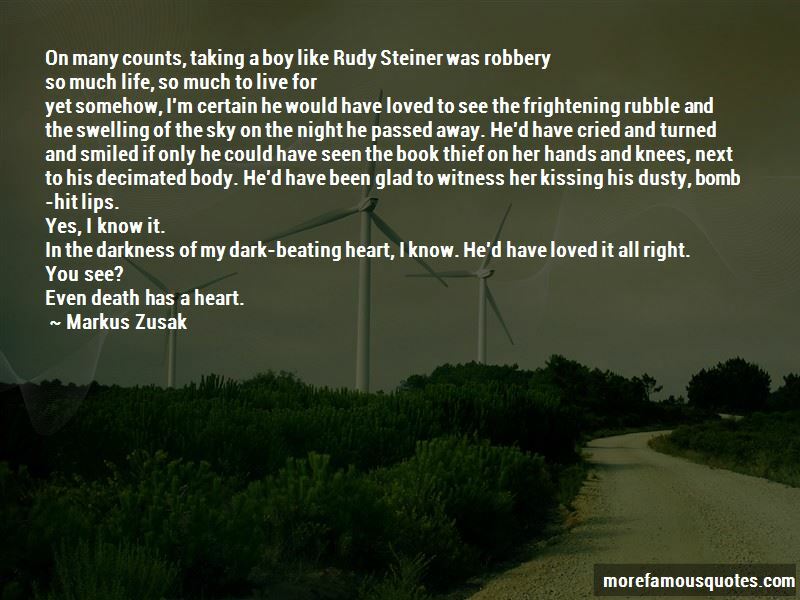 Enjoy reading and share 2 famous quotes about Death The Book Thief with everyone. yet somehow, I'm certain he would have loved to see the frightening rubble and the swelling of the sky on the night he passed away. He'd have cried and turned and smiled if only he could have seen the book thief on her hands and knees, next to his decimated body. He'd have been glad to witness her kissing his dusty, bomb-hit lips. In the darkness of my dark-beating heart, I know. He'd have loved it all right. Want to see more pictures of Death The Book Thief quotes? 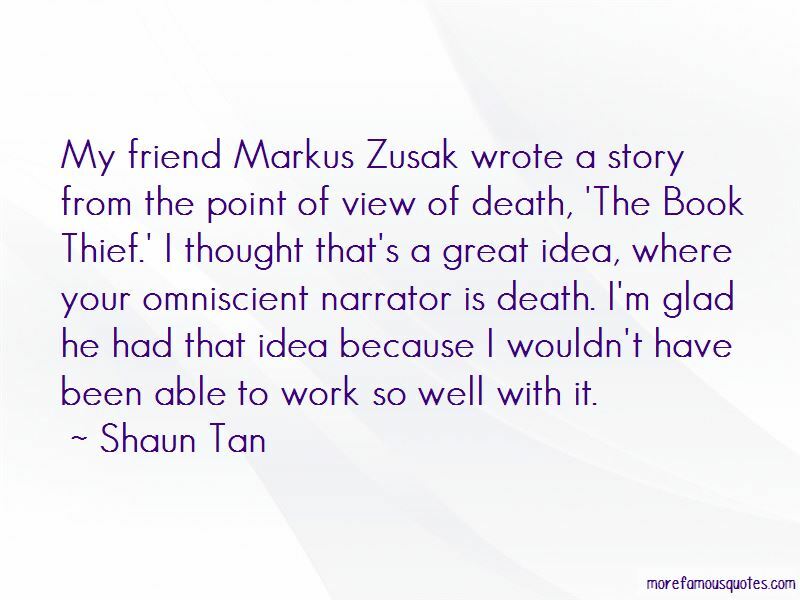 Click on image of Death The Book Thief quotes to view full size.